Salvador Dali Simon is a single print. It comes from The Twelve Tribes of Israel suite. The suite consists of 13 drypoint etchings. This etching is available individually. Transworld Art published the suite. 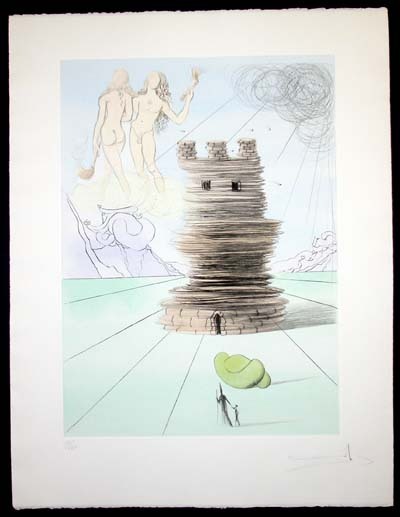 Dali signed the etching in the lower right. The etching has a number in the lower left. E-mail for Price and condition report. Call us for more information.